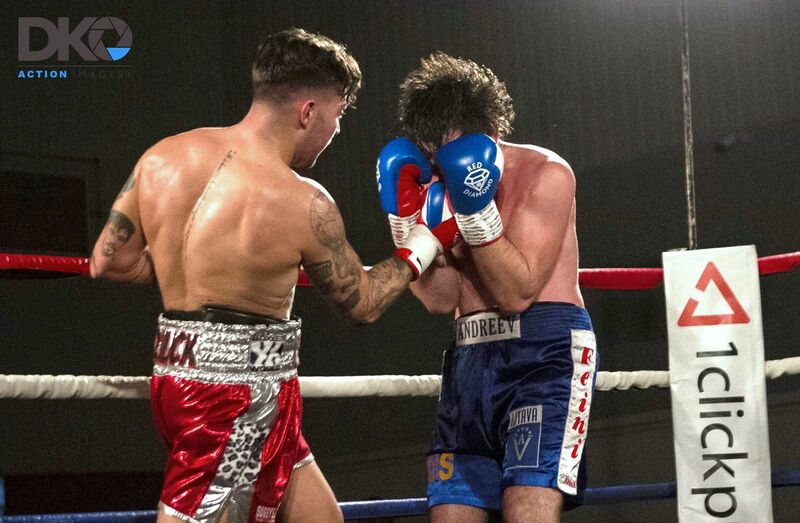 Fresh from his victorious return to the ring in October, Suggy’s Gym boxer Chad ‘2 Slick’ Sugden is looking to end the year on a high when he takes on Iranian Taha Mirhosseni at Banks’s Stadium in Walsall on Saturday 22 December. Going into the six-round bout with eight wins from nine professional contests, three of them by KO, the Nottinghamshire-born Light Heavyweight will feature on the card of Jingle Brawls in the town where he made his pro debut in March 2016. “Taha calls himself ‘the beast from the east’ but he’d better be ready for a strong performance from me because that’s what in store for him and I’m looking forward to getting him out of there,” said Chad. “A massive thank you to all the sponsors, fans and friends who are always behind our fighters, professional and amateur alike, every step of the way,” said head coach Dean Sugden. “Without them, we couldn’t do what we do and we’re looking forward to meeting up with some of them in Walsall to celebrate the end of another fantastic year. Doors for Jingle Brawls open at 6.30pm with the first bell at 8pm and tickets are available from Suggy’s Gym on Castlegate in Newark or via the ticket hotline 01636 605708 / 07816 840920. Standard unreserved seats are £35 each (£40 on the door) and VIP Ringside Table seats are £65, including Christmas buffet served from 7pm. All rights reserved. Reproduction without explicit permission is prohibited. Unauthorised use or duplication without written permission from this blog’s author is strictly prohibited. Excerpts and links may be used, provided that full and clear credit is given to “Chad '2 Slick' Sugden” with appropriate and specific direction to the original content.